Looking for new SEO trends to follow for 2019? In this article we will discuss about SEO in 2019, how to optimize for search this year and what SEO strategies will bring you the maximum result. The state of SEO for 2018 has been quite eventful with many factors (like mobile indexing, algorithmic changes etc) that changed the way we optimize our sites for search engines. If you want to up your search engine optimization game, improve your rankings and get more organic traffic, then this is the guide you need. Feel free to download the 23 point SEO checklist we used to boost our traffic by 583%! The later half of 2018 saw a huge array of Google algorithm updates that ruined the rankings of some of the biggest names and rewarded other sites with improved higher rankings. That started as the famous broad core Google algorithm update on 1st August, 2018 (known as the Medic update) that impacted a huge number YMYL (your money your life or health and finance) niche sites. Google has since then rolled a number of updates (some rolling back the severity of the Medic update while others still adjusting sites based on their new rankings). These updates were focused around content quality and the E-A-T score of the site (and site owner). E-A-T denotes the Expertise, Authority and Trustworthiness of your site (more on that later). How these Google updates will shape your SEO in 2019? While Google normally isn’t pretty vocal about algorithmic changes, Danny Sullivan (former SEO community member and now Google’s public liaison of search) pointed out that you can do better by producing great content and following the Google’s quality raters’ guidelines to optimize your site and content. 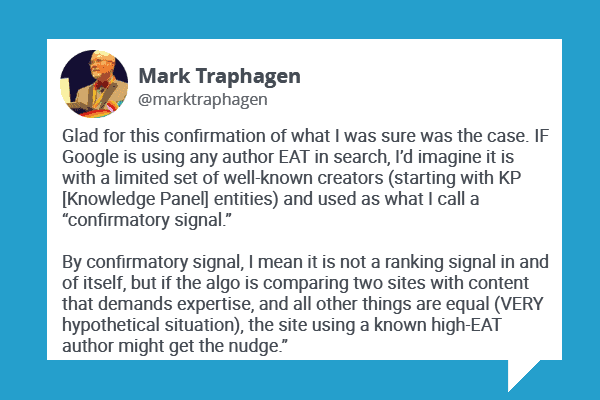 While it’s always a good idea to optimize your site with respect to Google’s quality raters’ guidelines, what you should emphasize more is the E-A-T aspect of your website. How to boost your site’s E-A-T score? You don’t have to have a certification (having one is very good) to become an expert or improve your authority, you can use personal experiences to prove your point. Write thorough, in depth content that solves the readers’ questions such that they never have to go back to the search searching for the same query. While Google’s Rankbrain has been online since 2015, Google recently declared it as their third most important ranking factor (content & links being the first two). Unlike all other Google’s ranking signals, Rankbrain doesn’t directly affect search engine rankings. …it helps Google process search queries and sort them (in the SERPs) in a way that best fits the intent of that query. For example, if a page ranks #4 but has good user experience and on page metrics then Rankbrain will try and place it higher in the SERPs. If the user signals are stay that way or get better that site gets a boost from #4 to #1 or returns to its original position of merit. Rankbrain helps Google understand what search result is the best fit for the user’s query by constantly testing sites and seeing user experience on those pages like dwell time, on-page time etc to evaluate the effectiveness of the page. Not only user signals, Rankbrain is powerful enough to tweak the search algorithm on it’s own to find the perfect match search results for a particular query. 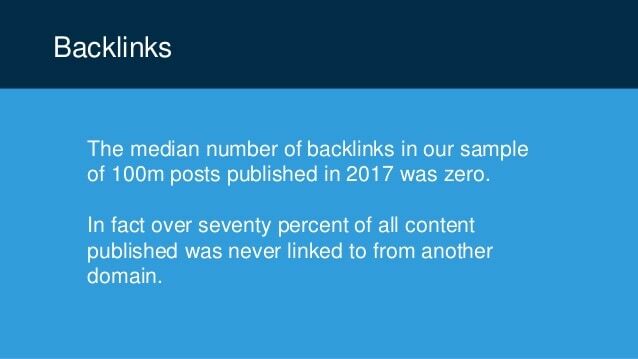 It perpetually tweaks the importance of backlinks, content length, content freshness and other ranking factors to see what brings the best results for that keyword. If a particular change shows positive effect it stays like that otherwise changes back to test some new algorithmic changes. How to optimize for Rankbrain in 2019? Pogo-sticking is said to occur when users quickly leave your site (just after landing on it from a Google search result) to return back to the SERPs and click on a different result. It clearly means that your site didn’t offer enough value or wasn’t the one they were looking for. …this time the one that kept the users on their site for longer period (dwell time) will replace your site in the position. Give readers what they were looking for from your site right above the fold. Make sure your content is simple, easy-to-understand and well-formatted. Refrain from using click-bait headlines (often misleading users to click on your site and then leading to a quick bounce). Focus on writing in depth guides that talks about everything a reader needs to know for that query (this will also increase their dwell time on site). Since Rankbrain learns what users prefer in a search results page, it pays close attention to organic click-through rate of your title tags and article headlines. If you’ve better click-through rates (more people clicking on your site in the SERPs) than a competitor it clearly means more people are interested in your content (which means it is better than the ones out-performing you in the SERPs). 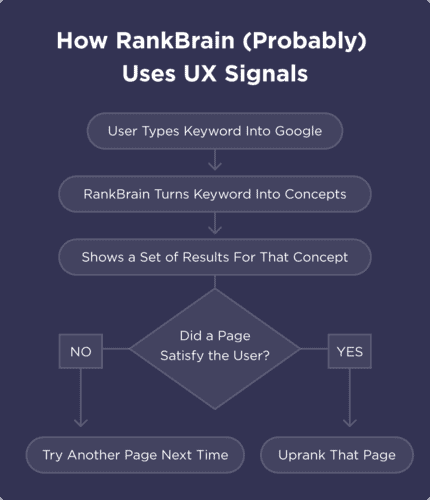 Since Rankbrain focuses on sorting search results based on UX, this will trigger Rankbrain to replace the top ranking sites with yours. Use numbers (odd numbers get more clicks than even) for your list articles’ title tags. Use brackets to emphasize and draw attention. Try emotional hooks and assure them to solve their problems (keep in mind to deliver what you promise or else it will lead to Pogo-sticking). Use power words to improve headline click-through rate. Split test headlines to see what drives more results. Use descriptive, yet short URLs. Another amazing SEO tip for 2019 is, check out Google search console, and see the keywords that a give page is ranking for or getting more impressions in the SERPs. Add that to your headline and see the difference. When Nick Frost, head of Google brain algo in Canada, revealed that they do use click data to analyze how helpful a page is and how people interact with the result results. Now that you know dwell time matters, check out below tips to boost dwell time. Start with a crisp intro assuring people to solve their issues. Reduce bounce rate (add descriptive internal links and CTA’s to read more links). Use bucket brigades (like but, having said that, you’ll agree in between important lines) to draw users to the next section. Disclaimer: The next SEO trend for 2019 may come as a shocker! Brace yourself because here comes an unexpected (but rather true) announcement from Google. Google doesn’t want you to solely focus on SEO as the only source of traffic to your site in 2019 and beyond. This is nothing new, though. 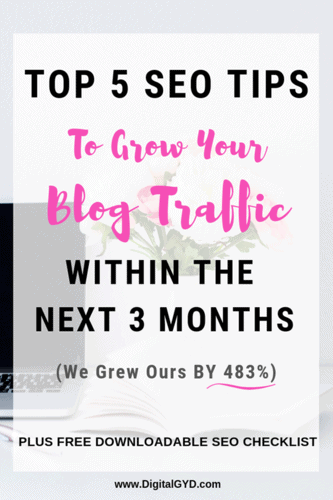 In my beginner’s guide to blogging I talk about how traffic diversification is the key to a sustain long-term blogging and gaining your blog audience. It is one of the top SEO best practices to diversify your traffic sources and focus on building a community around your blog audience. Google’s John Mueller answered a Reddit thread (discussing about how to cope up with the September updates) that for an ecosystem as dynamic as the web, change is inevitable. You need to focus on alternative sources of traffic or aim at turning one-time visitors into return-visitors to sustain any algorithmic changes in the future. Things change, that’s kinda normal on an ecosystem as dynamic as the web. There’s no meta-tag or HTML tag that will prevent change, and change isn’t a sign that your site is bad. One idea might be to work on limiting your dependencies on a single source of traffic, work on turning first-time users into repeat-users, so that as you grow traffic through one source, you also grow the regularly revisiting traffic – which is more independent of the initial traffic source. I cannot recommend enough about building your own email list. It’s like owning your traffic source plus creates a personal point of touch between you and your audience. While reports suggest that 50% of all searches by 2020 will be voice searches let’s still assume it’s far from reality. This doesn’t change the fact that voice search is gradually dominating with how people use search and with the rise AI-enabled voice assistants, voice search is an emerging SEO trend for 2019 and beyond. 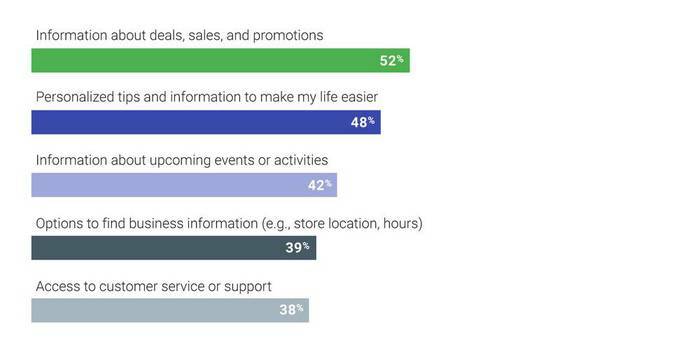 According to Google, people use voice search for almost every aspect of search including information about deals, upcoming events, information about businesses etc. So, optimizing for voice search is probably the best SEO tip for 2019 that you can take away from here. How to optimize your blog for voice search in 2019? Use tools like Answer The Public and even Google’s own “people also ask” section in the SERPs to find keywords that are question-based. Consider creating “Actions for Google assistant” and “custom skills for Alexa” (actions & skills here are simple programs that help these voice-enabled devices to interact with your content or app more efficiently) to help you in voice search optimization for 2019. Make sure to include the sources from where the information you’ve mentioned in your articles are collected. This will help voice searchers to afterwards check into that website for more information. Most preferably, in the format “According to Wikipedia or NYTimes.com” etc. Google Images is one of the best image search engines in the industry today. And, it is constantly evolving to help users find the right content and website owners get their share of traffic from image content. Heck! images , apart from driving referral traffic, are a very good source of getting new backlinks and increasing post engagement and boosting dwell time. Now, the authority of the site behind the image will play a major role as to what ranks for a query. Topical relevance will also play a role. If you’re searching for a image in the DIY field, you’ll most probably see a site from the DIY space rank for it (rather than any site that had a related image). Google images will now contain a caption of the image that contains the title of the web page the image was found on. It will give a clear context of the page behind the image. Sites with image placement above the fold or at least near to the center will get a priority when it comes to ranking for image search. Use structured data like recipe markup, product markup etc to enable display of badges for your images in Google image results. These badges will contain more information and will improve CTR of your images. Another important SEO trend for 2019 (that actually began in late 2018) is Google’s shifting to mobile-first index. If you’re someone who’s active in maintaining their blogs, you’d remember receiving an email in the recent couple of months about Google enabling mobile-first indexing for your site. Google’s mobile-first index essentially means that Google will now index the mobile version of your website/content (rather than the desktop version) and will rank your site based on what it finds on the mobile version (which essentially means it won’t count content hidden in tabs/accordions etc). Another important aspect is, now the health of your site on a mobile device like site speed, content width, formatting etc.) will be a ranking factor. Well, with about 55% of all Google search traffic coming from mobile devices it is high-time Google considers sites from mobile point of view. Make sure you’ve same content in both desktop & mobile versions of your site. While Google says they’re okay with using accordions and hamburger menus, experiments show that hidden content gets devalued. So, make sure you check out what works for you. Optimize your mobile version for speed. Google considers mobile page speed as an important ranking factor. Use responsive themes or website templates. With all those SEO predictions for 2019 doing their work, you will have one more major payer that decides how your site ranks in the search results for 2019. Quality content is still the king and probably the most important SEO factor to optimize for in 2019 (read the pro tip below). PRO TIP: Content quality isn’t all about writing in-depth posts.You content must be factually correct, topically relevant, satisfy the query’s intent, link generously to external articles on the topic and have it’s fair share of engaging elements to make it to the top. You may have the best post amongst the top 10 sites in the search pages but not rank if you fail any of this. As mentioned in the search quality rater guidelines above, you need to have content that is helpful to your readers. Your article should pass the “purpose of being there” on a page. Which essentially means, every piece of content you publish should have a purpose (like selling a product, giving some information, expressing oneself etc). You need to have that E-A-T (expertise, authority and trust factor) on the subject you’re writing. If you lack, you can hire writers who are established in their field to do the job for you. Google asks for having a solid amount of MC (main content) that follows a responsible and suggestive title (not click bait type). Creator reputation: This one is an important factor that you’ve to gradually build for yourself. Google checks for positive reputation of both the website and the creator/owner to establish the site’s authority. …while evergreen, in depth and authoritative content continue to garner more and more incoming links than they ever were. It shows you have to up your game and produce high-quality articles, tap into unique researches, case studies and other content formats that can help you build your authority. You need to build your authority to survive the new wave of SEO trends in 2019. With Google, Facebook and every other platform focusing on booting fake news, low-quality content out of their gardens, trust signals and branding have now become more important than ever. In yet another research by Stone Temple, there are multiple instances that prove Google uses some sort of info that identifies authors behind an article and checks for the creator’s (read author’s) reputation online. And, even though this doesn’t imply that we might see author boxes it does tell us to create a brand around ourselves. Create in depth resources that target medium (and not very long tail) keywords. Build your brand: Do guest posts, appear on podcasts, start an YouTube channel, consider creating a Wikipedia page, build your brand on social media. Basic on page SEO can boost your content’s ranking but how about optimizing your content that increases your chances of ranking & acquiring featured snippets even more? You can do so integrating Natural Language Processing (NLP) into your content strategy. NLP is the process of parsing through text, establishing relationships between words, understanding the greater logic behind those words to derive an intelligent meaning that matches user intent. Here is a fantastic guide to NLP SEO that discusses the core components of Natural Language Processing including tips to improve your writing using those. 1) Featured snippets will see even more prominence with new “multiple featured snippets”, “featured snippets with tabs” and other features. 2) Topic clusters or hub and spoke model of content will be adopted more. This will help your site get more organized (in a way SILOs did sometime back) and help you create topical relevance around your keywords. 3) Video content will become more prominent. Make sure to include some sort of video content to your page. It not only increases chances dwell time but also increases engagement by 80%. Alternatively, you can allocate a part of your content strategy to YouTube because that’s what’s been growing recently with more prominence in the search result pages too. Over To You: How To Upgrade Your SEO in 2019? I hope you liked my SEO predictions for the state of SEO in 2019. SEO is always in motion. The faster you understand that search engines and their algorithms are now focusing more on the end user than ever. The whole Aug-Sep update (name it Medic update, Birthday update or whatever you like) was solely focused on giving users the best, reliable and authentic search results. Of course, Google’s eating away the lion’s share of organic CTR and traffic with featured snippets, people also ask boxes and other SERP features (in the name of providing a better UX). Finally, the million dollar question! Is your SEO strategy ready for 2019 or you still got to optimize your site for some SEO trends mentioned above? Is there something I missed? 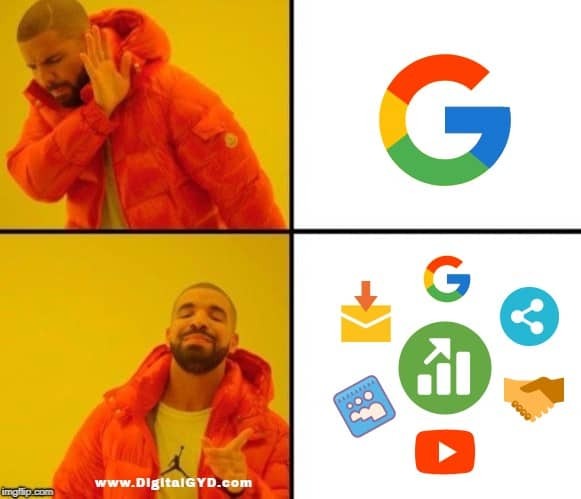 Seeing some new SEO possibilities for 2019? Let’s chat in the comments below. Wow, this is a beast of a post! There’s no end to what Google will come up with tomorrow. Fortunately, we have SEO experts such as yourself to keep us in the loop and profit extensively from it. I have also found ‘ask the public’ to be a great resource for knowing the mind of my audience. Making it easy for me to tailor my post to their needs effectively. Oh wow that was a great article on SEO predictions.I am glad to gain this remarkable information abut the state of search in 2019 from you.Thank you and looking forward to learn more from this blog. Awesome Article on SEO in 2019 bro! Well written and explain in-depth. Loved it! Keep sharing more! You have crafted a nice post for the bloggers. SEO is constantly changing and hope this year too. Instead of focusing on keyword density, it would be better to satisfy the readers and boost the user experience. Moreover, we should make our blog load fast and suitable for voice search. I agree with your viewpoint on the upcoming SEO trends, thanks for writing the useful blogging guide. Yes! Our users are what matters now and will matter for SEO in 2019. Rankbrain is a good factor to help Google reward those genuine sites that are serving users better and help readers get to these sites. Voice search will be prominent and Google is coming up with audio markups for easy understanding of voice assistants. Thanks for your kind words ma’am. Amazing post around SEO predictions for this year! This will be challenging to maintain the same ranking in 2019. As the voice and conversational searches going to become more popular So, It’s important to optimize website content in a conversational way and understand the user intent. It’s good to know about Pogo-sticking, I hope I optimize my site with your SEO tips for 2019. Thank you for sharing this post. Excellent, meaty and in depth analysis! I have had to really focus on my site speed as of late, seeing as what you prefer to as ‘pogo sticking’…my bounce rate seems way too high, and sure some of that can be the reworking of my content. You really packed a lot in here. EAT is nice and easy to remember and one very valid acronym. I am really trying to design and write for mobile users, as that user percentage just keeps steadily rising! I will be going through this article for some time and absolutely will share this information for my readers! Thanks again for your effort! Happy to retweet this buddy. Rocking job. Swadhin what a post, bro. The E-A-T acronym is DEAD ON dude. Folks need to hone their skills to build rocking blogs and to drive Google traffic. Very true. Building authority and brand (who can be a better example of creating a brand that you!) around your blog is very important for SEO in 2019. Here on your blog for the first time. Really enjoyed reading this post. Very indepth, well written, useful and informative. I have never been deeply involved in the seo part. Instead I have always tried to focus on the content part because I feel it makes the difference eventually. Its all about it. Thanks for your appreciation. It’s nice to hear that your content is doing well without SEO. Can you share some stats and details? I think it can make a great case study. Yes, surely. I agree to your point. Integration of SEO with content strategy can surely result in big benefits. I am in SEO Field from last 3 years, but from last 3 month, Google updates it’s algorithm again & again. I feel like I’m starting all over again. Recently, I have read Backlinko Post “SEO 2019,” the best thing I have learned, Create valuable Content to your audience so they keep coming back and stick around. Yes, Google algo updates recently have broken all records. And all we can do is wait and see what results it brings. Yes, Backlinko’s post was amazing. We both have reported almost the same SEO trends for 2019 (except a few this and that). A fantastic article Swadhin. I really loved the 3rd point on diversifying our traffic mediums and building up a strong community. Hi Yash, thanks for the kind words. Yes, building your own brand and a community around it will be more important than ever in 2019. You have an awesome community around your blog too!